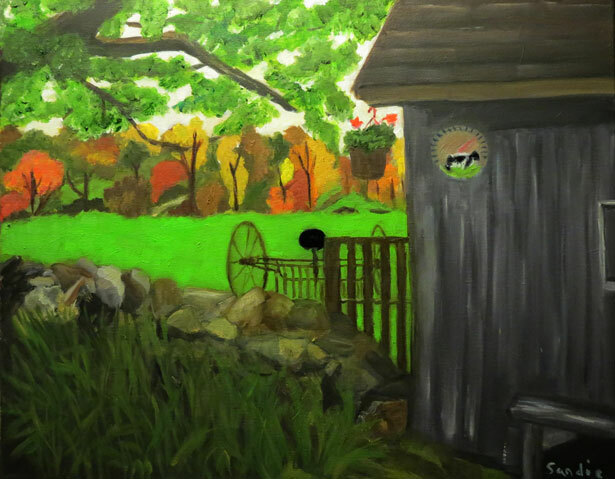 "I have been painting with Kathy for 3 years now. 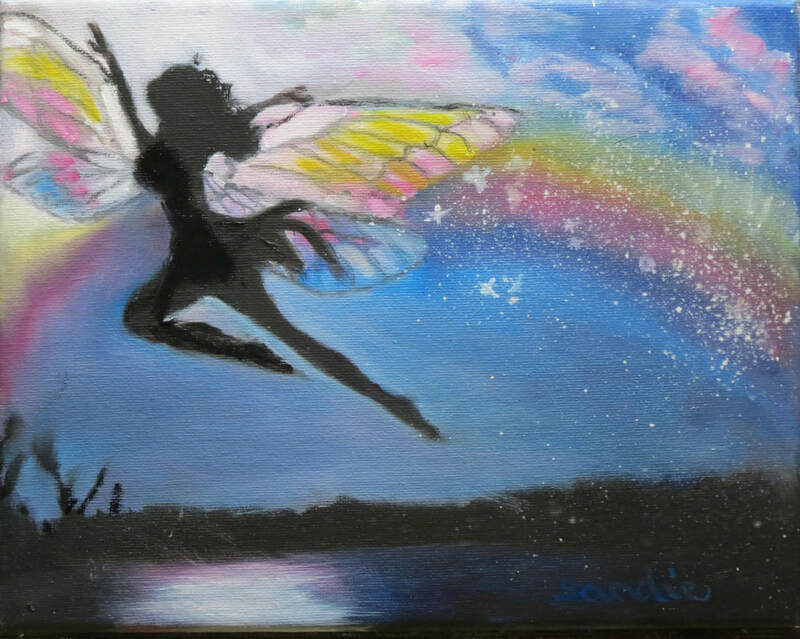 Every painting is a challenge but, with every painting I am amazed that "I did that!" 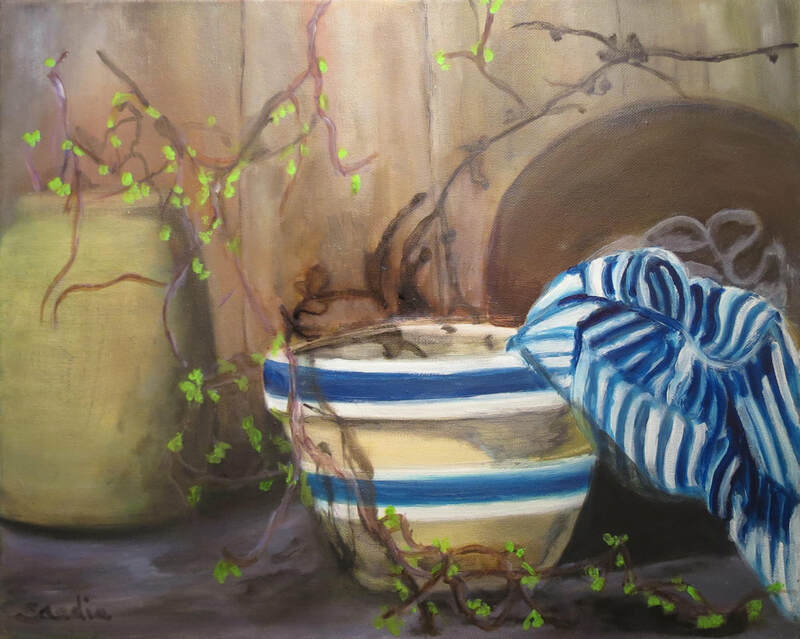 I have learned something with each painting and appreciate the patience and guidance Kathy shows each and every week!" From Chris S: Wow! That came out so nice! I love your waves. I got a thing about waves as you know! Congratulations! From Amy W: Great job, Sandie! I can almost hear the sounds of the ocean and the sea gulls. From Ellen C: Nice job Sandie. You bring the seaside home. From Judy K: Gorgeous painting. Love the colors and the way you used them. Congratulations ! 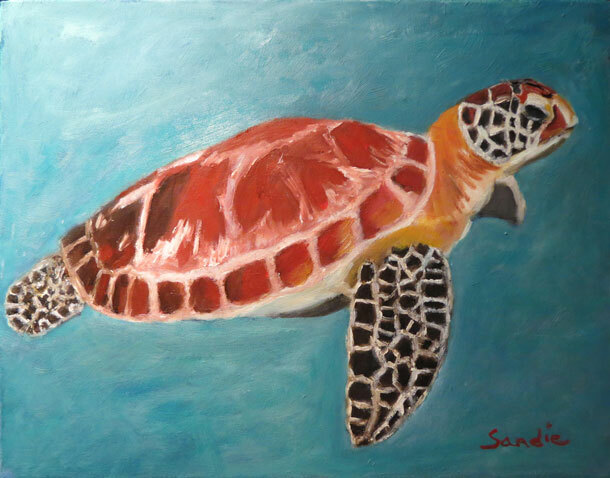 From Susan F: Sweet painting, Sandie. Nice work! Love the colors. 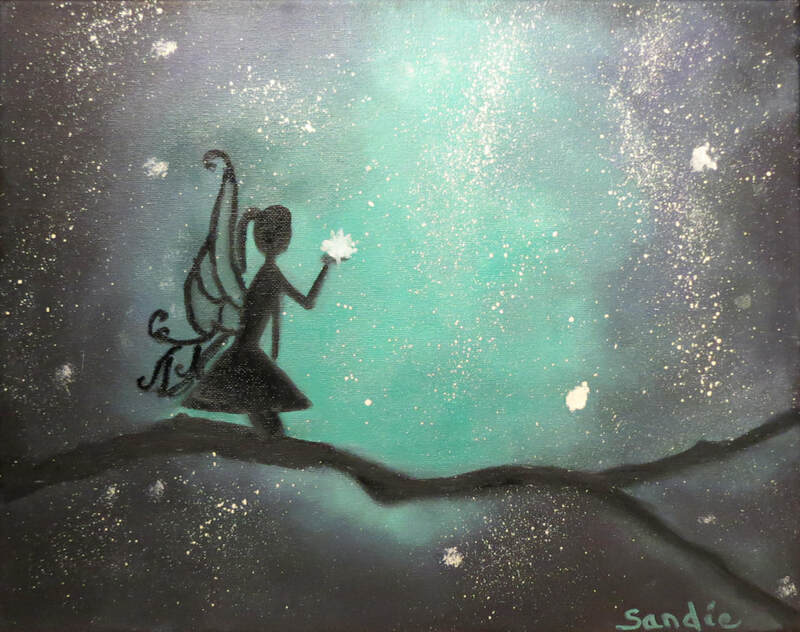 From Chris S: This is so pretty, Sandie! I love the colors you used! Well done! 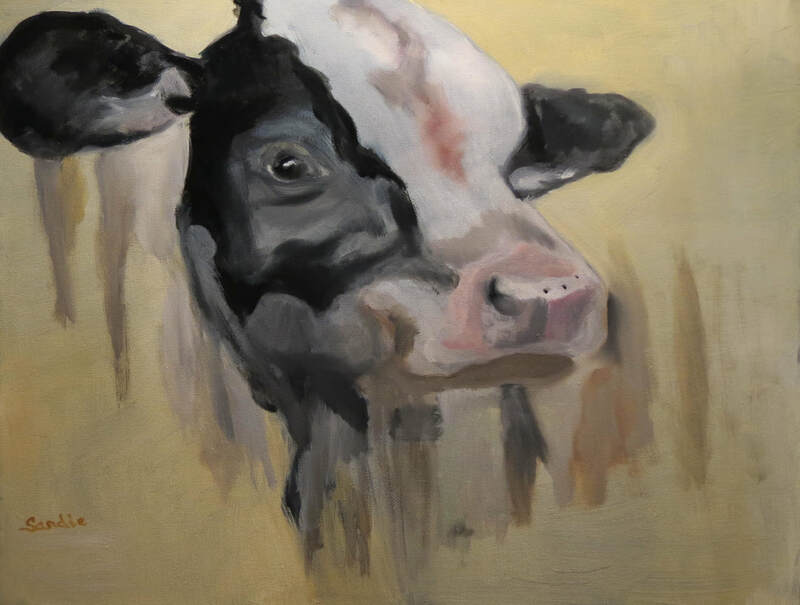 From Nancy B: I love your cow Sandie! From Ellen C: I love the cow. It captures the cow essence's and with beautiful colors. Well done Sandie. From Quinci S: Mooooo! She’s awesome, Sandie! From Chris S: Hey, anybody got a glass of milk, I’m thirsty! Great cow, love the colors Sandie! 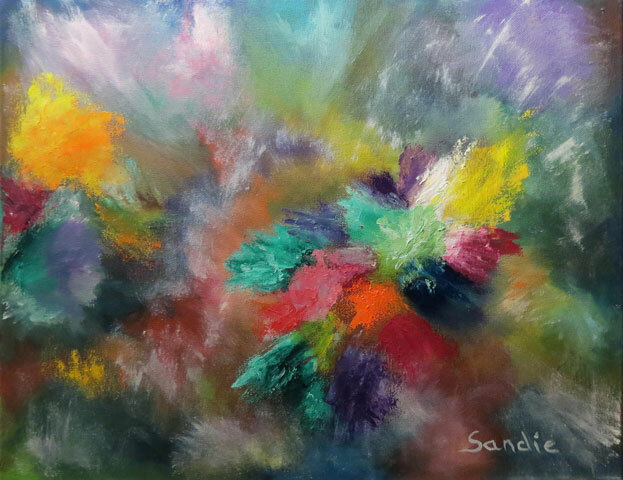 From Paula R: This is so fun, Sandie! Love how you've painted personality into this cutie. From Nancy B: Awesome painting! From Susan F: You are a speed demon,Sandie! Nice work on that wine. From Christine S: Congratulations! She's great!! From Quinci S: Very enchanting, Sandie! From Amy W: Beautiful Sandie! From Chris S: Great job, Sandie! 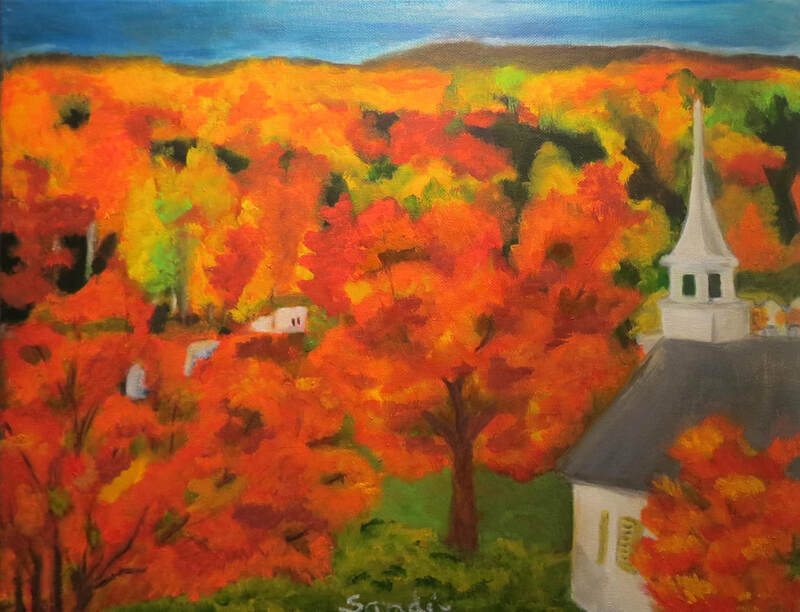 I can feel fall in your painting and love the fall colors! From Ellen C: Sandie, This is truly lovely. It has so much depth. It's all in the values! Congratulations! From Quinci S: Sandie, I wish I could mix my brownie batter in that bowl! You did a great job with this, there's so much to look at and it's all very pleasing. 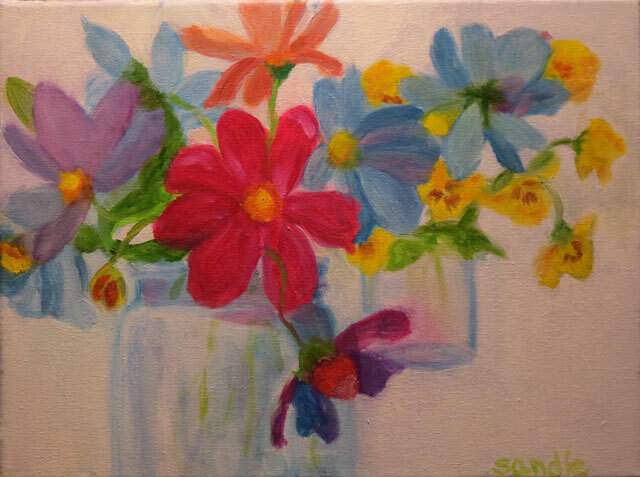 From Amy W: Beautiful job, Sandie! 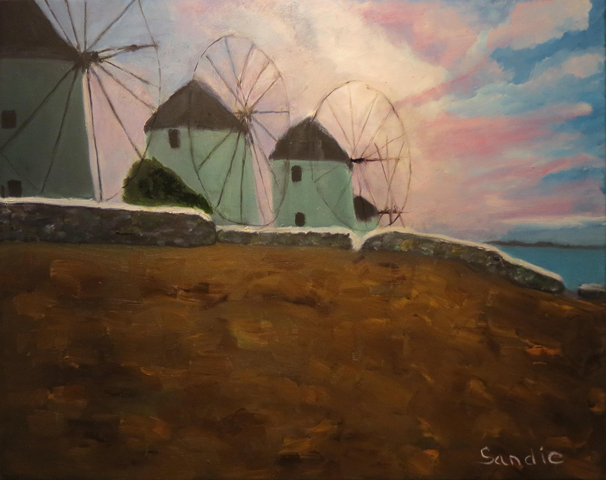 From Paula R: Love this painting, Sandie. Another great job. From Chris S - Another beautiful job!!! From Nancy B - What delicious color! From Judy K - Another wonderful painting. Gorgeous colors. From Christine S - Sandi, this is beautiful! I feel like I'm right there. Another great one! From Lorraine Q - WOW ! This is gorgeous..hope I get to see it. From Lorraine Q: She is so sweet ! You have captured each ones personality beautifully..Lucky dogs !! ​From Amy W: So beautiful, Sandie! All of your pictures are terrific. From Quinci S: Sandie, I love May May! She (?) is adorable! The colors you used for your background are gorgeous and bring her out so beautifully. From Catie T: Great job Sandie! She looks so fun and engaging! From Christine S: Sandi, you made him so alive! You brought out his fun personality! Wonderful! From Lorraine: ​Awesome work ! He is beautiful! 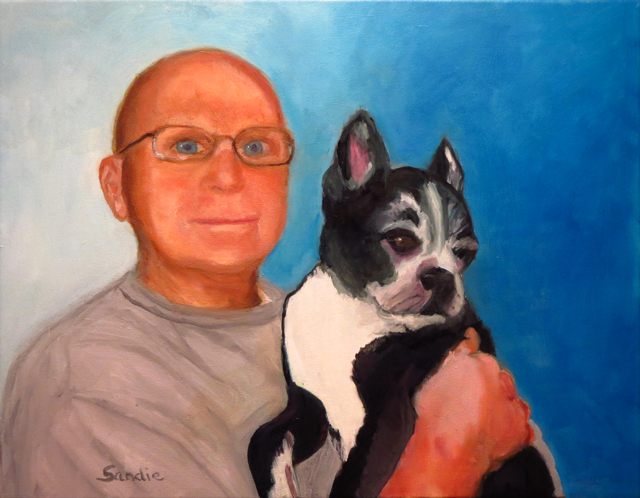 ​ From Paul Keane: ​Sandie,I just can't believe the most beautiful job you did with those pictures.I always knew you were artistically talented but this is unbelievably outstanding!Sandie,I think a self portrait would be an excellent project for you.I think you could give it a good go.Wow,wow,wow to your fantastic talents. Comment to Sandie I - comments posted upon approval.